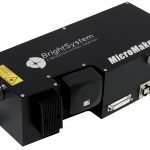 MicroMake from Bright System is an integrated and compact laser micromachining unit for high precision and resolution applications. The system includes all the needed devices for direct laser micro-processing in a single monolithic element. Live microscope imaging of the sample is offered during all process phases for alignment and immediate quality check. Typical applications of this compact system include controlled ablation, microdrilling, precision cutting, selective removal and direct 3D microfabrication. All these features suit perfectly a large variety of materials utilized in the fields of microelectronic circuits and displays fabrication and correction, biomedical devices machining, optical substrates microprocessing. Bright System is the Business Unit of the the Bright Solutions Group fully dedicated to support Customer’s applications.